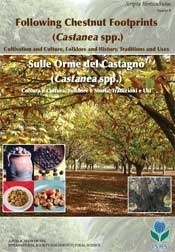 This book reports the status of the walnut industry country by country. Information is given on the geographical distribution of the species of Juglans, their historical origins and their introduction into different countries. Also presented are techniques of cultivation of the Persian walnut, information on native varieties, as well as commercial data. The authors of this book were requested to include descriptions of traditional uses of walnut, both of the fruit itself, and also of the plant. The result has been a collection of data that relates the original uses of walnut wood (e.g., cabinet making and handcrafts), leaves (e.g., medicinal use), husks (e.g., extraction of dye), shells (e.g., domestic heating and the cleaning of jewelry), and kernels (direct consumption and in the preparation of sophisticated sauces). Even the membrane that divides the valves of the kernel has been used as "confetti" decoration! In many cases, the authors report on the use of walnut in culinary recipes and reveal how it has sparked the imagination of mankind both throughout history and in modern times. In publishing this volume, the ISHS has made a significant contribution to the exchange of information between developed and developing countries, confirming the vocation of the organization to promote international cooperation between scientists from around the world.